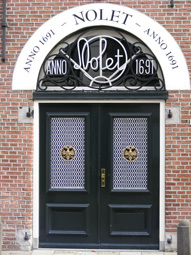 Founded in Schiedam in 1691 by Joannes Nolet, 10 generations of the Nolet Family have overseen the continuous operation of the company from its beginning to the present day. Today, the modern factory complete with its own windmill, exports vodka and geneva around the world. 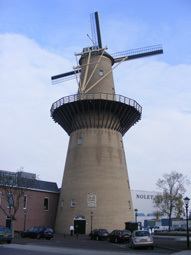 The Nolet windmill, completed in 1985, supplies power to the distillery and is not used for milling grain for the distilling process. 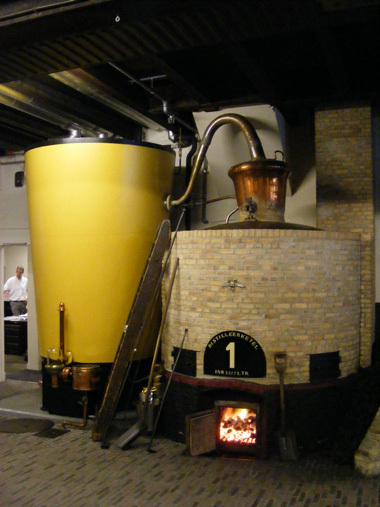 The recognised " Ketel 1 " vodka brand is named in honour of their traditional distilling Kettle Number One - which maintains a prominent position and active role in the distillery. 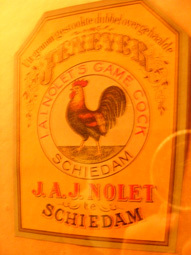 The Dutch language sometimes replaces "J" with "I" - so the bottles featuring the brand names J.A.J NOLET and I.A.I. NOLET are the same era and the same company. 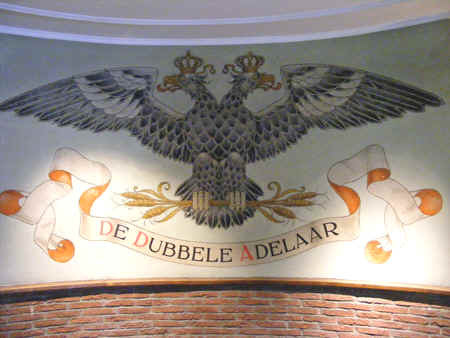 Refer to the picture of the GAMECOCK on this page - which displays both initials on the same label.